The significance of awards is to bestow upon the deserving; however, things were different this time with the prestigious Nandi Awards of the south. The film Baahubali scooped in 14 awards in different categories like the Best film, Best Director, Best Supporting Actress, Best Villain, Best Cinematographer, Best Playback Singer (male), Best Music, Best Choreographer, Best Fight Master, Best Dubbing, and Best Special Effects Awards. However, Prabhas has not won any awards for his high octane performance in Baahubali. The actor’s performance has also not been acknowledged in IFFA and SIIMA either. 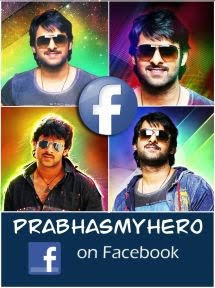 However, Prabhas not winning awards has not gone well with his admirers. The nation expressed its anger towards the injustice meted against the actor. Well, with such fans love, it is clear that Prabhas is beyond all the awards and that the fans love for him is in itself greater than any prestigious awards put together.